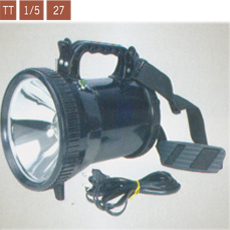 Aktion Handheld Search Light AK 102 from Aktion Safety Solutions Pvt Ltd is a powerful halogen lamp which provides high visibility of more than 750 metres. The searchlight is powered by rechargeable 12 V battery. It is easy to handle with its adjustable nylon shoulder strip and in built handle. The rigid plastic body makes it highly durable and weather resistant. It is widely used by police and security personnel, people involved in emergency services, fire brigade professionals and construction companies. 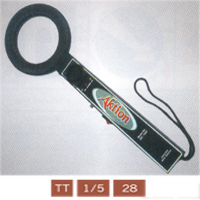 Another safety product from Aktion is the Handheld Metal Detector AK 1202 which is used in many security applications. It detects ferrous and non-ferrous metals and gives an audio-visual alert – through a red colour LED and a Piezo buzzer. Its high sensitivity allows a search to be non-intensive and hands-off, minimising physical contact with the object. Its sensitivity works well in anti-theft applications where small objects must be protected; it can easily detect jewellery, electronic products and computer processors. The rugged detector comes with a high impact resistant ABS case.